Metal’s Time and Space Residencies are open opportunities for artists working in all disciplines to access Metal’s spaces, the support of its staff and its local, national and international networks. With two application deadlines each year the selection process is favourable to artists looking to develop their practices or with a specific idea or project to develop. We are particularly interested in receiving applications from artists with an interest in participation and socially engaged practice, from diverse backgrounds, with unique personal perspectives to offer. Metal has 24 Time and Space residencies to offer each year – eight at each site. 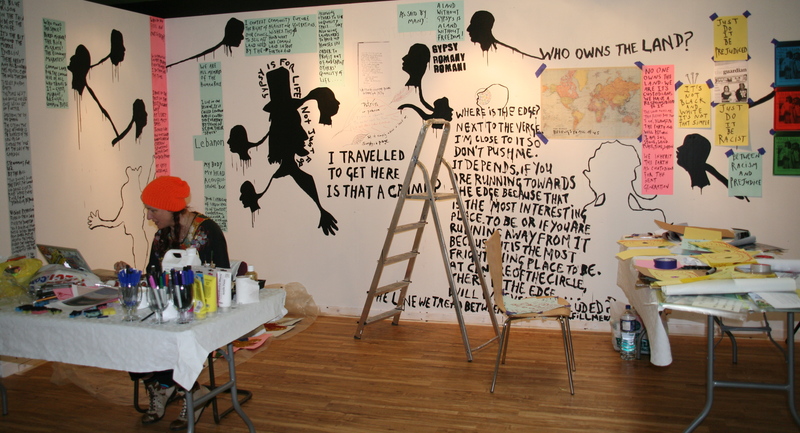 Our Time and Space residencies are by application – with two application deadlines each year. 30th March & 30th September. Accommodation for two people – or four people sharing bedrooms. Access to a dedicated work space – can accommodate up to six people working together (n.b. our space in Southend is not suitable to use as an artist’s studio – perfect for ideas development, writing, script development, post-production work, initial readings & some small scale rehearsal. Length of stay – flexible – anything up to a month-long stay in accommodation (20 working days). Use of other spaces on a non-residential basis can be negotiated for longer (up to 120 working days). Southend on Sea is a 45min train journey to east London and as such has fantastic access to the cultural offer in London. Access to Liverpool’s thriving cultural scene and vibrant neighbourhoods. Currently there are no accommodation facilities in Liverpool but we can assist in helping you to find some. Peterborough has a burgeoning cultural scene and is just 45 mins train journey from Kings Cross, London and as such has fantastic access to the cultural offer in London. Currently we have no accommodation facilities in Peterborough. prepared to make a contribution to Metal’s ongoing programme (e.g. give a talk / Future Network meeting / contribute to an event / or other. Artists who are selected for a Time and Space residency are expected to be self motivated, self organising and self contained and to meet all their own expenses other than working space (and accommodation if in Southend). Please note: These residencies do not offer a fee or any per diems. Whether you have a fully formed idea or just need time and space to develop your work Time and Space residencies are hugely valuable experiences to help create new work and expand practices. Metal’s space in Liverpool, Edge Hill Station is the oldest passenger railway station in the world. We renovated the buildings in 2008 bringing them back into use. 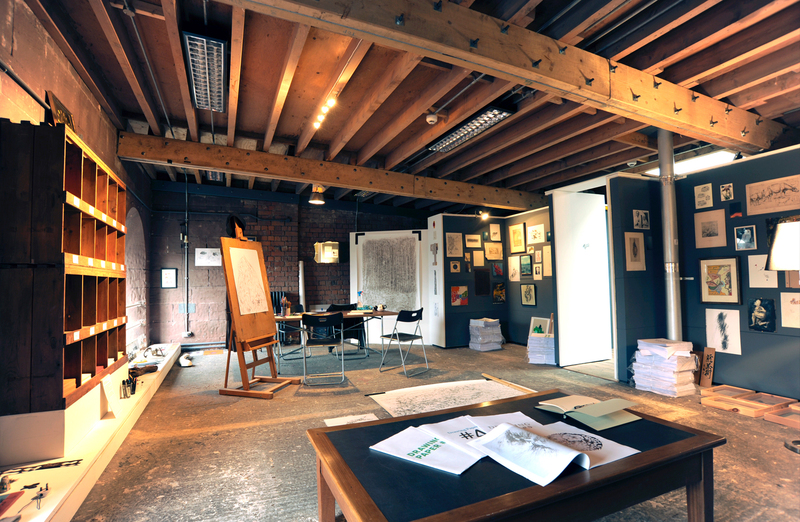 Built in 1836 the space is an inspiring location for the creation of work. Edge Hill station is neighboured with some of the most vibrant and diverse communities in Liverpool. The space lends itself, in particular to the creation of visual art due to the size and industrial nature of the buildings, however, we actively encourage applications from a wide range of creative practitioners, including musicians, writers, theatre practitioners and start-up creative industries such as graphic designers, architects etc. To view an image pack click HERE. Originally a residential property in the Cathedral grounds, Chauffeurs Cottage was renovated by Metal in 2012 into a hub of flexible office, studio, performance and meeting spaces. We also have dedicated facilities for sound recording and digital production, a large courtyard with outdoor stage and planting from our 2014 award winning Hampton Court Garden. Arrival to our space is through a grand entrance gate that is part of the ancient original Cathedral City wall in the heart of Peterborough’s beautiful medieval city centre.